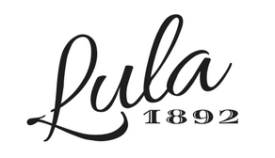 Are you looking to be featured as an artist on Lula 1892? Are you a publicist looking to send us your press releases for our News section? Send us a note and we’ll work out the details! In addition to musical artists we are always looking to feature folks behind the scenes in the industry. We’ve featured producers, interior designers, recording houses – if you make something happen in our industry, especially behind the scenes, we want to talk to you. Placement on Lula 1892 puts your name next to folks like Red Steagall, Tony Brown, Jeannie Seely, Reba McEntire, Lady Antebellum, and more. We are always looking for musical artists for feature interviews and Rapid Fire Round articles. Country music can be fun and lighthearted, or it can be melodic and heartbreaking. What makes country unique is its grit. Lula 1892 is devoted to preserving the history of country music while celebrating innovation and artist achievements in the genre. We’re a family born from the art of music making, bound by a timeless sound and unending affection for our fellow musicians, writers, and practitioners. Here at Lula 1892 we promote the best of the best artists, whether they are signed by a label or pursuing an independent career, who are making a positive impact on the industry and have strong musical integrity. We will not promote negative criticism, gossip, or pop/bro country news. We care about art, not who went out with who last Friday night. If you believe your writing fits our company values and culture, we’d love to hear from you! We accept list and round up posts, opinion pieces, and feature interviews. The content needs to be original. As in, never before published anywhere else. We can’t emphasize this enough, your content cannot violate any copyright laws. We do not pay for articles at this time. You may link to your social media profiles or website in the bottom of your article. We’re all about sharing good writers and helping folks build their portfolios and following. Images, images, images! Please source your images with correct credit. Ask for permission. We do ask for previous work, but if you don’t have a portfolio yet we will ask you for a short spec. We understand not every good writer is published. We just have to be sure you are a good writer. Note: We retain the copyright of every post published on our sites. If approved, you cannot republish your work elsewhere. It might take us 1 full week before we get around to your submission. Please wait at least 2 weeks before resubmitting. Our publication schedule tends to be pretty quick, but is dependent upon how many active projects we have going with branding houses and partner publicists. Publishing time is subject to changed with no warning at our discretion. Oh, and by the way, make sure to use the word “Oklahoma” somewhere in your pitch. That way, we know you’ve read the guidelines. We’re doing Ctrl+F on all submissions, so if the word isn’t found, you may not receive a response from us. Start by coming up with 3 headline ideas that you think could work well. Tell us exactly how our readers will benefit from each of those posts. Send your ideas via the form below (please don’t send us complete articles), along with 2-3 links to your previous work. We will take a look at them, reach back to you and let you know what’s next.